Sunday Quote!- Forgiveness in Islam and Christianity | J.W. Wartick -"Always Have a Reason"
The distinction White discusses here is crucial. The basis for forgiveness in Christianity flows along with God’s holiness and justice: God provides for justice through the atonement provided by Christ. In Islam, however, Allah may choose to forgive whomever, whenever, merely because Allah is all-powerful–and this in the radical sense that Allah may do whatever Allah wishes, even violate divine law against murder and the like without any intercession and mediation. It seems to me that this provides another reason to think of the reasonableness of Christianity: it provides a basis for God’s forgiveness apart from mere divine fiat. What do you think? How important is this distinction? Does James White accurately portray this difference? 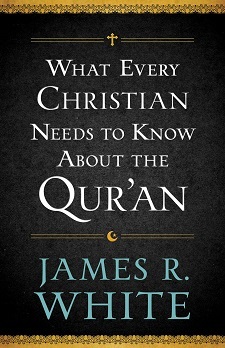 James White, What Every Christian Needs to Know About the Qur’an (Bloomington, MN: Bethany House Publishers, 2013). So does God need to be a man and die in order to be able to forgive people? That’s against the mightiness of God. God is All Forgiver, He forgives sins. You may forgive others if they hurt you, isn’t God more Forgiver and Merciful than you? If these sins are against others then Prophet Muhammad (Peace be upon him) said that if you heart someone then you should ask him forgiveness otherwise he will take from your good deeds credit in the Hereafter till you are bankrupt. If you don’t have access to ask him forgiveness or give him back his right, then you should pray for him and ask God to forgive him. But to say that for God to be just and be able to forgive sins according to the law that He put in the Old Testament, He must be a man and kill Himself, that’s against the mightiness of God and has nothing to do with justice. To say that God would just forgive by choice undermines God’s attribute of Justice. All it states is that God is powerful, which is true, but God is also perfect justice. A very interesting read! The way i see it, the only thing that Allah rejects is that Jesus was hailed as the Son of God, but he does not reject his message, because after all, he was the one who provided Jesus with the Gospel. So in my opinion, as a Muslim, Jesus and his word are as relevant to me, as their are for a Christian, and therefore, Christianity’s forgiveness is also Islam’s forgiveness. Thanks for your comment and stopping by. For myself as a Christian Jesus’ words are relevant as words from God. Are they relevant in that fashion for you? You are welcome 🙂 They are relevant for me also in that fashion because Allah says “and we gave him the Gospel and fortified him with the Holy Spirit” This clearly means that the words Jesus spoke are Allah’s since Allah “Gave” him the Gospel (Injeel in Arabic) 🙂 I carry Jesus in my heart as a Prophet, you carry him in yours as The Son Of God 😉 Both versions are pretty cool haha! Thanks for sharing and your kind words. You’re welcome! Our Lord’s blessings be upon you and yours!